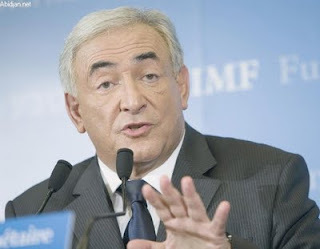 What the arrest of Dominique Strauss-Kahn shows us is that no leader or CEO at an organization should be taken for granted. From the CEO of Hewlett Packard to the President of the United States and now the IMF chief, any business is apt to lose its leader without warning. However, the popular sentiment is that the company will not survive without the leader. In some cases, initially it seems true. The loss can take a serious toll on the business or even drive it into the ground. It can create a power and decision-making vacuum. And if there is a yes-man culture, for example, where the primary role of employees is to agree with the CEO, the enterprise will have a difficult time recovering from a displaced CEO. It could be said that in 1980’s, Lee Iacocca cultivated such a culture. Chrysler paid the price when Iacocca retired. They struggled in his absence and lost the momentum Iacocca had built. In the end, Chrysler survived, and the IMF will, too. However, the IMF will have a much easier time. One of the main take-aways of this case is the ease with which the IMF was able to accept the loss of their chief, quickly shift their balance and keep standing. Even as they begin their search for DSK’s replacement, they still haven’t missed a beat. The IMF will continue to exist and function business as usual because the structures in place are stronger and more important than the individual leader. To ensure this kind of continuity in a company’s future, organizations need processes that are replicable and scalable and function independent of leadership. In fact, as employees become more effective at a specific process it can be scaled, presenting the opportunity for growth. For example, an assembly line at Chrysler continues whether the CEO exists or not. If more orders for cars come in, the assembly line process can be expanded to new plants and replicated. If a process identified as valuable to the final product or service can be replicated by qualified personnel, the company has a chance of perpetual existence. Another way to safe-guard your organization is good succession planning from day one. As a CEO grows and develops new skills, he should be delegating old tasks to those around him and training direct reports. In this way, he can groom his subordinates to be able to fill his shoes. For every case where a business has come close to failing after the departure of a leader or great performer, there is one where the organization stays strong and continues achieving. After John F. Kennedy’s assassination, for instance, the vision of a man on the moon was still fulfilled. From budgets to NASA, the US was structured to put a man on the moon. Hewlett Packard didn’t hesitate to say goodbye to a very important leader. Their stock suffered for a short time, because everyone else was afraid of what would happen to them. Except, internally the company continued to grow and service clients. While this article focuses on CEO and top leadership, it also applies to key personnel in operations as well as high performing sales people. No one should be so powerful within an organization that without them the entire structure would fall. Is the US Ready to Have a Billionaire CEO as President? The Chairman's response to a CNN Money Article "Saying No to the Boss"
This article addressed a critical issue for leaders/managers in companies, especially for the CEO. The dilemma for many CEOs is they initially moved up the ladder because of their ability to solve problems and provide great solutions. This implies he or she has the right answer. While that is great, the down side it creates a closed mind to the ideas of others. When you learn to trust yourself and you are usually right, you expect others to follow you – the birth of the “yes man culture”. However, the best managers/leaders rely on their people. If you rely on your people, you send a strong message that you trust them. To build a culture of trust, it has to come from the CEO. And if he is really smart, he will hire and empower people to be smarter than him. In an age of knowledge workers, it takes a very confident leader to allow your people to be smarter than you. At the same time, it will give you access to untapped intellectual capital in your organization. In most cases, it can become a competitive edge.